A speciality multicuisine Restaurant to serve mesmerising tongue tingling delicacies. When we are planning to go a trip to Chennai, we can get all types of accommodation here. We want to find the correct accommodation at affordable expenses. But, most of the people like to stay in hotels. Get the luxury room based on your budget from Egmore. 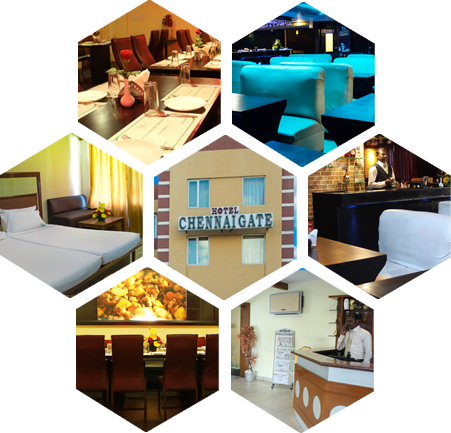 Our hotel is the eminent budget hotel in the head of budget hotels in Chennai. It provides comfortable rooms, which is clean and neat with many services at reasonable cost. This budget hotel is secure and pleasant, which is located in the main area of the city, 2 km away at the Egmore railway station. So it is more convenient for the travellers. Some of the prodigious services provided during the stay in our hotel are Tea/Coffee, AYYANAR KAARAIKUDI Chettinad Restaurant A/C & Non-A/C, 24 hours Check-in and Check-out, internet connection through Wi-Fi, Safety Lockers to keep our valuable things, 24 Hrs Medical Assistance for emergency needs, 24 hrs Room Service Facilities, 24 Hrs Power Back Up, Fire and safety Protection service, 24 Hrs Hot and Cold Water, Travel Desk service, Laundry Service when you requested, well stocked Romeo bar, and Satellite TV Connections. Eminent features in the room include television with multichannel facility, direct dial telephone service, high speed internet access, electronic safe and tea/coffee blender. It has attached bathroom with shower facility. We also offer daily laundry service. The rooms are well spacious and we also offer store cupboard for security purposes, and work desk to work. The rooms are furnished with single and double beds. Visitors can choose the room based on their budgets because the cost is different based on the selection of their rooms. 24 hrs power supply without any interruption. Daily news papers to get update of current news and information. From the cup of tea/coffee to dinner, you can get all services as you like. This budget hotels in Chennai is the best hotel where you can get and enjoy all services at affordable cost, which makes you comfort and pleasure.